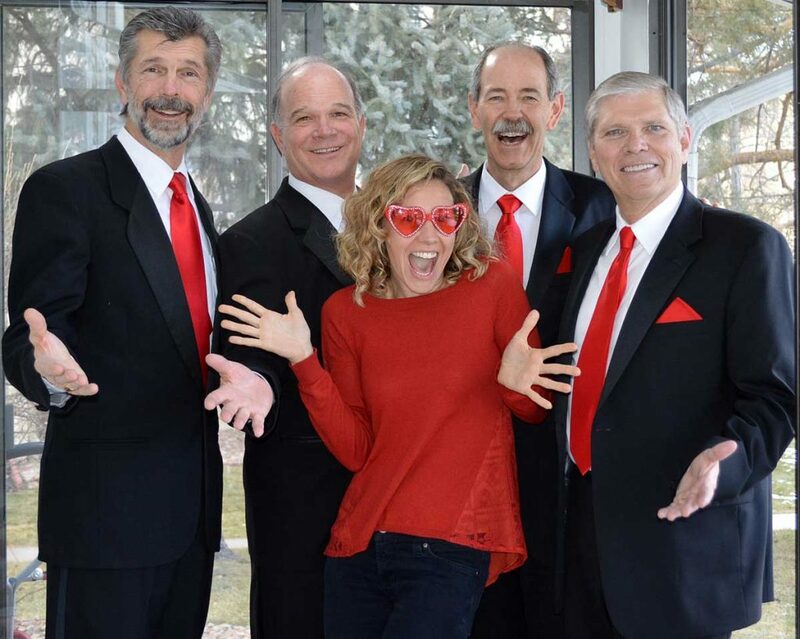 Valentine’s Day has become synonymous with love songs performed in four-part barbershop harmony to Denver videographer Cindy Ball. Cindy sent her first Sound of the Rockies Singing Valentine to her mother, who was living in a Westminster assisted living residence, in 2016. She was hooked and ordered Singing Valentines again in 2017 and 2018 and even hired a barbershop quartet for her mother’s 95th birthday celebration last year. Sadly, her mom passed away in December, but Cindy treasures the memories that were made. Cindy Ball’s mother enjoys her Singing Valentine. As much as Cindy Ball and her mother enjoyed sending and receiving Singing Valentines over the years, the quartets who deliver them are just as enthusiastic. 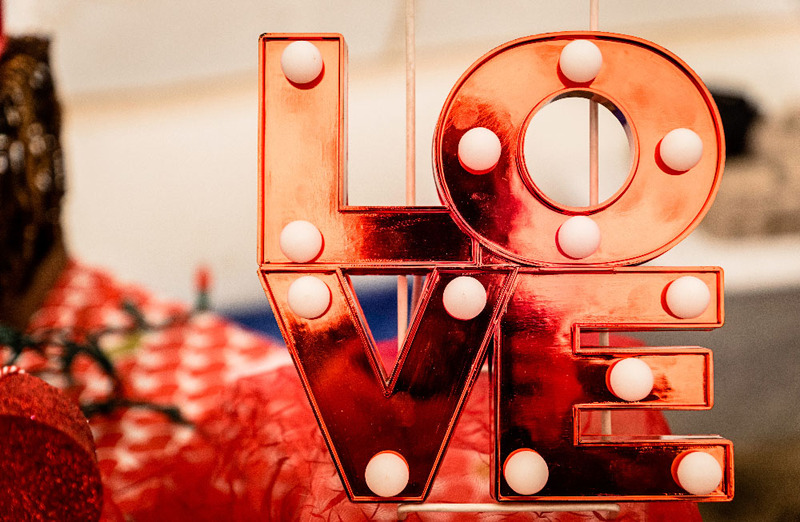 Ask just about any participating quartet singer and they will tell you Valentine’s Day is one of their favorite days of the year. Tony Pranaitis, a chiropractor by day and a bass with Sound of the Rockies by night, has been delivering Singing Valentines for two decades and couldn’t imagine a better way to spend the day. Each year Sound, of the Rockies in collaboration with Denver MountainAires and Colorado Chord Company, sends 10 quartets to deliver about 100 Singing Valentines throughout the Denver area, from Boulder to Castle Rock and Evergreen to Aurora. It’s an all-day affair, starting at 10 a.m. and ending after 8 p.m. Along with two love songs performed in barbershop harmony, recipients receive a rose, card, and box of chocolates for $60. To the quartet singers, it’s a labor of love. All proceeds go back to the chorus, helping to fund rehearsals, performances, competitions and community initiatives, such as SOR’s Ready? Set. Sing! free voice lessons. It’s also a highly organized endeavor that is committed to performance excellence. Each participating quartet is required to try out and be approved for Singing Valentines by a certified judge with the Barbershop Harmony Society, the umbrella organization for some 80,000 barbershop singers, quartets and choruses worldwide. “People are very moved by this expression of love from their significant other,” said Michael Kennedy, who also sings bass and has been delivering Singing Valentines for about seven years. Quartets deliver valentines, to private homes, offices, hospitals, college campuses — just about anywhere — to sweethearts of all ages. Over the years both Tony and Michael say they have been honored to witness incredible moments of love. A highlight for Michael was also to be in a quartet that delivered a Singing Valentine to Cindy Ball’s mother and later perform at her birthday celebration. One of Tony Pranaitis’ favorite memories is when his quartet sang backup for a man who wanted to deliver a Singing Valentine to his girlfriend at a restaurant with family and friends looking on. Afterward, the man proposed to his sweetheart. It was a very happy occasion — one that Tony feels fortunate to have been part of. Another was delivering a father’s valentine to his adult daughter. “When she came to the door and we told her who we were, she just froze and started crying.” The woman’s husband explained that her father was in failing health and the two had been estranged. “This was his way of trying to mend the relationship and show his daughter how much he loved her. You could tell it was very meaningful for her,” Tony explained. Both Tony and Michael are convinced that they get as much out of delivering Singing Valentines as those who receive them — if not more. “You know what they say: ‘It’s more blessed to give than to receive,’” Tony concluded. That may be the case. But if you want to make this Valentine’s Day special for someone you love, it’s not too late to order a Sound of the Rockies Singing Valentine. Reserve your Singing Valentine today.